The pace continued with the second big PFF event in one day! 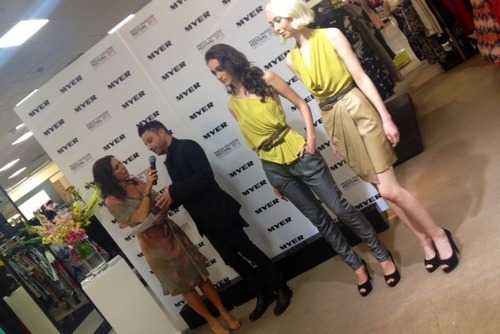 After a sold out luncheon, Myer continued the fashion fiesta with a VIP night, back instore. A zippy outfit change and I was ready to go! 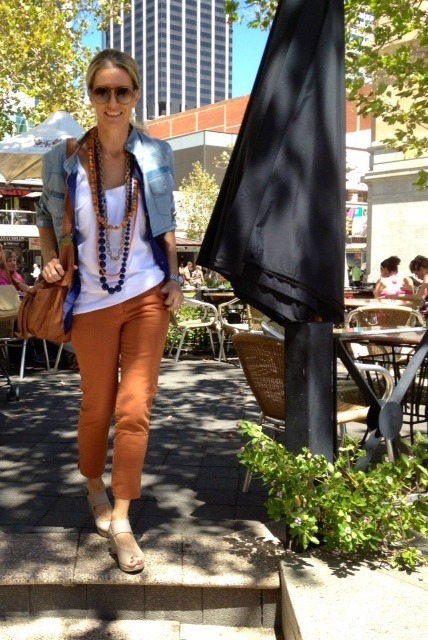 Wearing limesters, spotty-dotty top and cape, all by sass & bide. Zebra belt, by Cue. 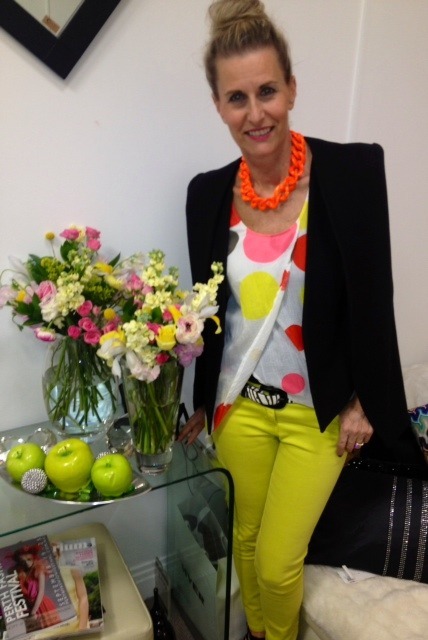 Orange shock, fluoro necklace continued the Spring colour blast! 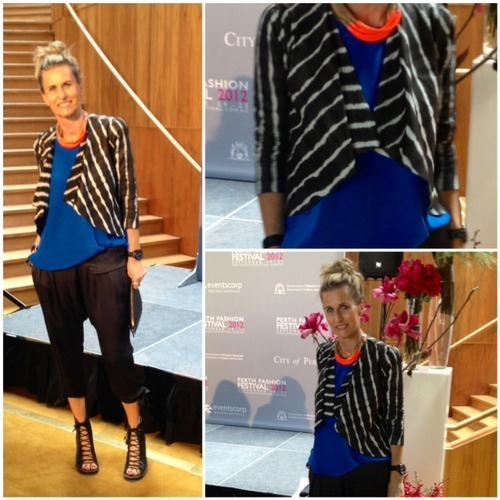 Next up, it was time to style MC, Claudia Bertorello-Kell. She looked simply stunning in a muted, pastel Morrison, silk tunic. 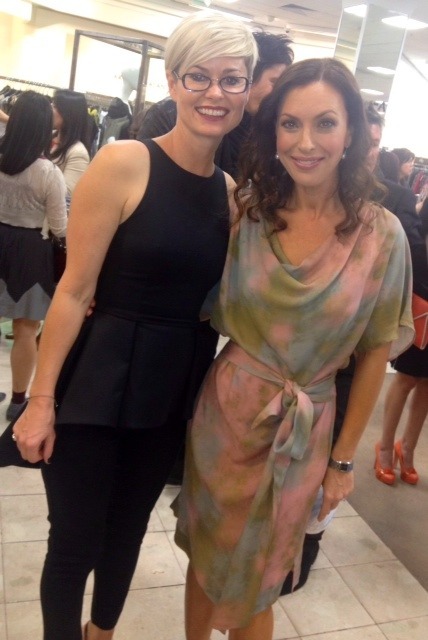 Pictured above, with the designer herself, Kylie Radford from Morrison. Woo-Hoo!! 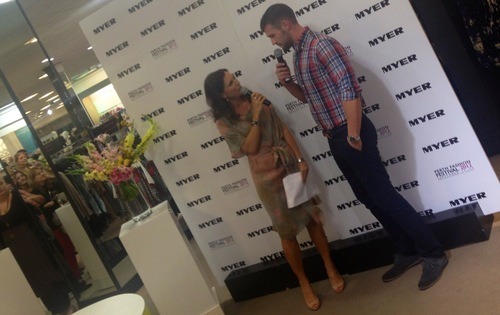 Myer managers (above) discarded their usual black and white!! 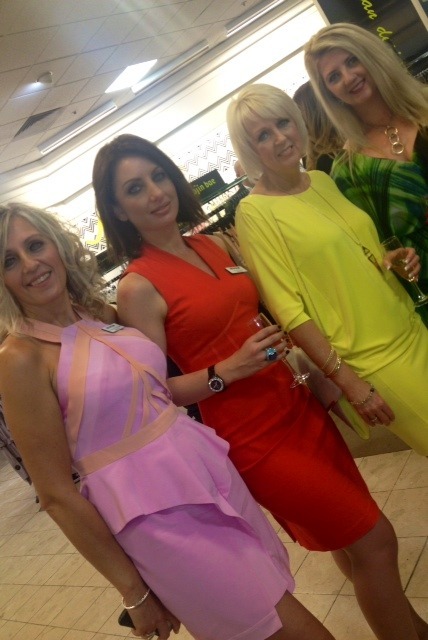 Yvonne in pink Manning Cartell, Donna in tangello Basque, Kerry in canary Charlie Brown and Sanette in lime Simona. Wow ladies…trending colour!! 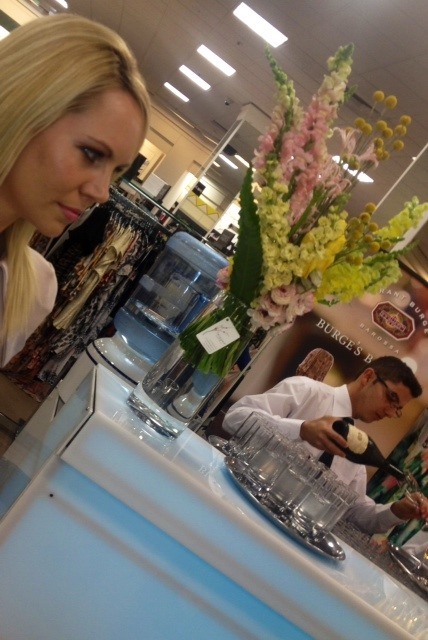 Guests such as Amy Zempilas, enjoyed champagne and canapes. Amy looked spectacular in her Zhivago bodycon dress. The surprise back detail caught my eye, as it placed the dress in a league of its own. 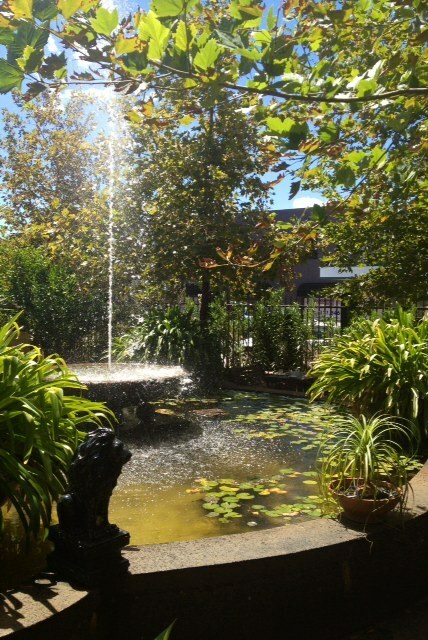 Designer Wayne Cooper, chatted with Claudia about his kaftans and maxi designs. Aurelio Costarella is always generous with his time. He shared his inspiration for the range and chatted about the Raven pant above. 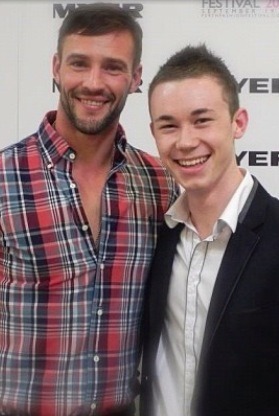 Model, Chris Smith blushed, as the merry crowd cheered and woof whistled. Wonder if anyone from luncheon Table 18 is in the crowd??? Chris was very happy to pose with guests and staff, such as Youth Manager, Harrison Ford above. 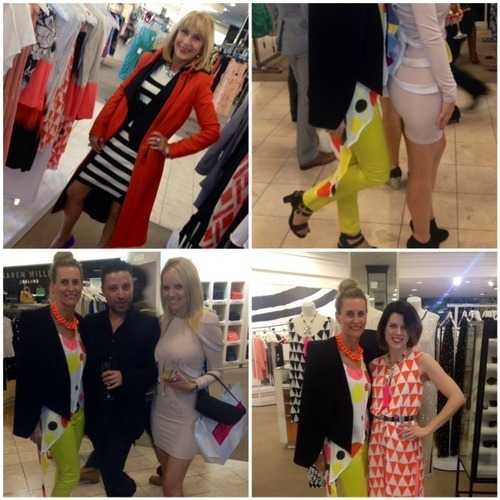 A merry night of fun and fashion was had by all!